Some Actions for RootMotion's PuppetMaster. I added a few more. Awesome! I don't own Puppetmaster yet but planning to buy it so these will come in handy- thx! Thats awesome. Some ai controling actions would be nice! So the value entered from the playmaker could be just an integer, there is no way to enter a real bone name. How exactly this action should work? Enter the number of bones then the names. 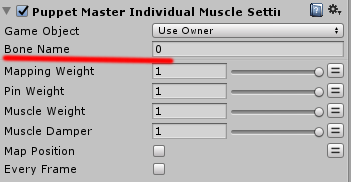 could please someone make a custom action to set Master Weights ?? I am a behind with Playmaker and Puppet Master. Can you use the Get/Set Actions? If not can you explain a little more, I don't remember "Master Weights". Is there a proxy for this? I'd like to download EVERYTHING at once I'll be using this soon with playmaker.